A Window Into Our World. . .: Pumpkin Pickin'. 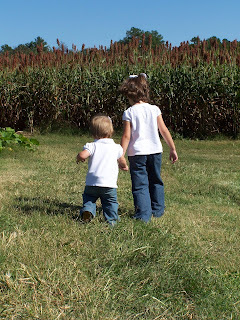 . .
Each fall we go to our local apple farm to pick a pumpkin. We started this traditon before we were married. 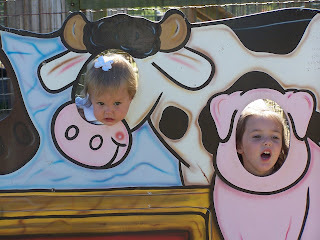 I love going to this farm because it is so cute. Plus I think it is good to help local people with their business. 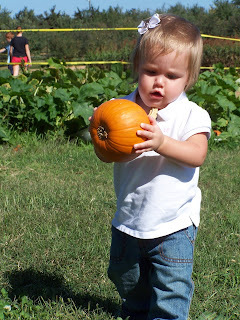 This year was fun because Addie got to pick her 1st pumpkin. Last year she was only a few months old. We walked through the pumpkin patch and each picked a pumpkin. 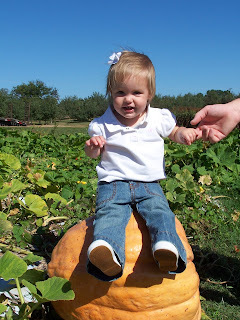 Addie was so cute trying to carry her pumpkin. You can tell in the picture she is using all her might. 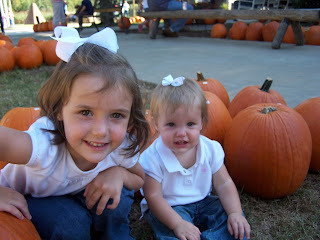 After we found the pumpkins, the girls played on the activites that are there. 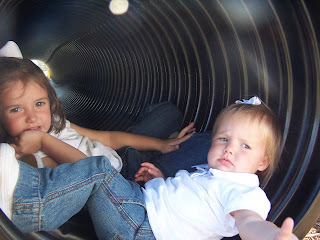 Brynn loves going through the tunnels. 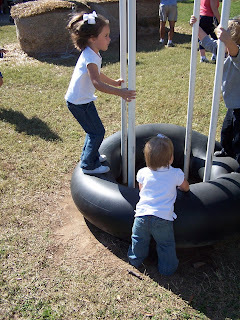 She taught Addie how to bounce on the tire rings. 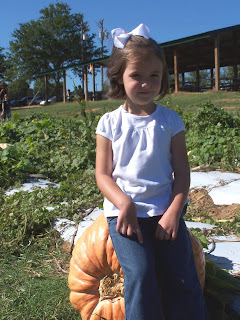 That one pumpkin looks bigger than Addie. Nivens does have alot of fun stuff for the kids to do.